In our latest poll we’ll be pitting the Alpha against the usual suspects, including offerings from LG and HTC, its Galaxy S5 mini compatriot, and the original small-stature droid, the Sony Xperia Z1 Compact. HTC’s second attempt at a compact droid comes toting a quad-core 1.2GHz Cortex-A7 chipset with 1GB of RAM and Adreno 305 graphics. It rocks a 4.5-inch 720p display, and is the only competitor of the Alpha that also features metal in its construction. Despite the larger screen diagonal, however, the Alpha is able to shave off a full 5mm of vertical compared to the mini 2, and its ultra-slim waistline puts the 10.6mm thickness of the mini 2 to shame. Is the all metal chassis enough to edge the HTC One mini 2 ahead, or is the Alpha the better device? Samsung has recently released another compact device in the form of the Galaxy S5 mini, which sports slightly more compact vertical and horizontal measurements, but still can’t stack up to the 6.7mm of thickness on the Alpha. It does have it topped in regards to the IP67 rating, however, and it sports a heftier battery to boot. Which Samsung device do you like better? The Sony Xperia Z1 Compact, the first truly robust compact smartphone, features a 2.2GHz quad-core Krait 400 CPU with Adreno 330 graphics. Out of all compact droids, it’ll be the one that can give the Alpha a run for its money in terms of performance, and its 2,300mAh battery should help outlast it as well. Let’s not forget about the IP58 rating, either. 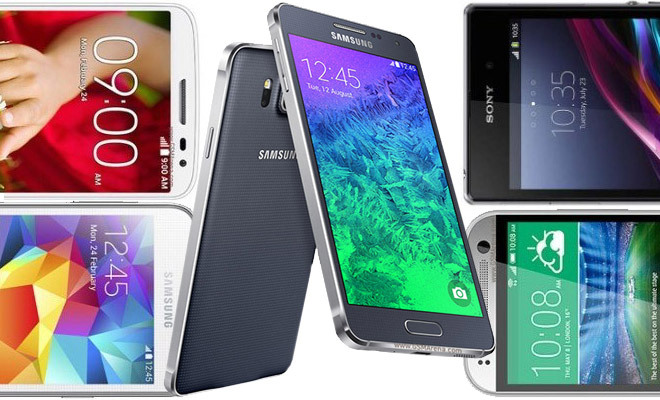 Is the Z1 Compact capable enough to beat out the Galaxy Alpha in your book, despite its 4.3-inch display? Our last challenger is the G2 mini from LG. It has the same 4.7-inch screen diagonal although it is of qHD resolution which means you get lower pixel density as well. It does have a healthy 2,440mAh battery and an IR-port over the Galaxy Alpha, but it’s Snapdragon 400 chipset and 8MP camera won’t stack up to those on the Samsung device. Which do you think is the better compact device? Be sure to check back next weekend for the results!